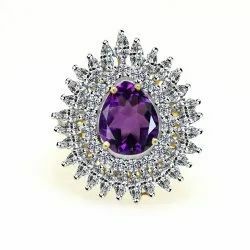 Manufacturer of a wide range of products which include t. savorite ring, eternity ring band, gemstones and heart shape ring, tsavorite & diamond ring, emerald diamond ring and pink sapphire & diamond ring. 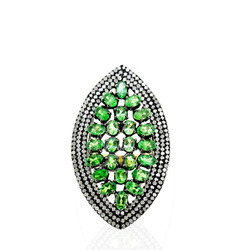 Classic, graceful and sophisticated, this striking T. Savorite Ring is crafted from sterling silver. 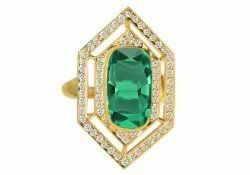 Owing to our vast experience, we have been successful in catering to the requirements of our esteemed clients by offering quality Tsavorite & Diamond Ring . 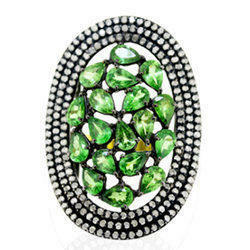 Embellished with stones and other various types of embellishments, these rings look immensely eye catchy and appealing. Worn wiand Trendy Earring from India.th traditional attires like saree, lehenga and more, these rings give extremely gorgeous look to the wearer. We have been customizing these on the basis of their designs, sizes and other specifications so as to meet diverse preferences of customers.